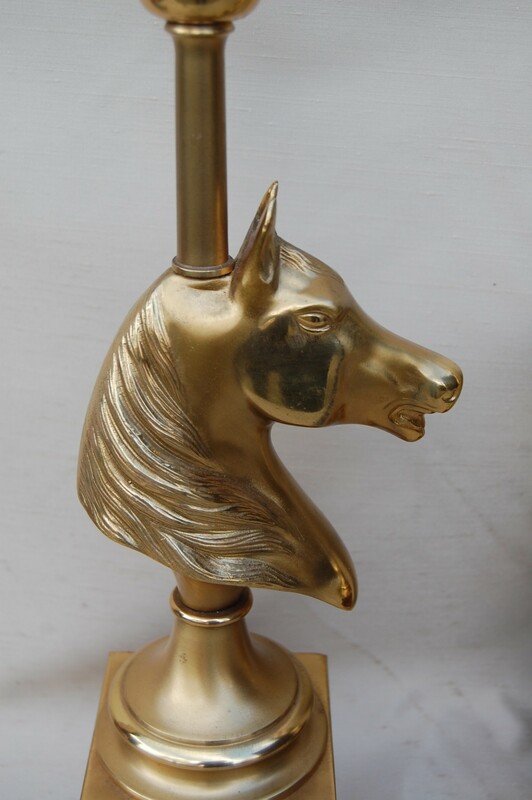 Height to the top of bulb holder 18"
This item is antique. 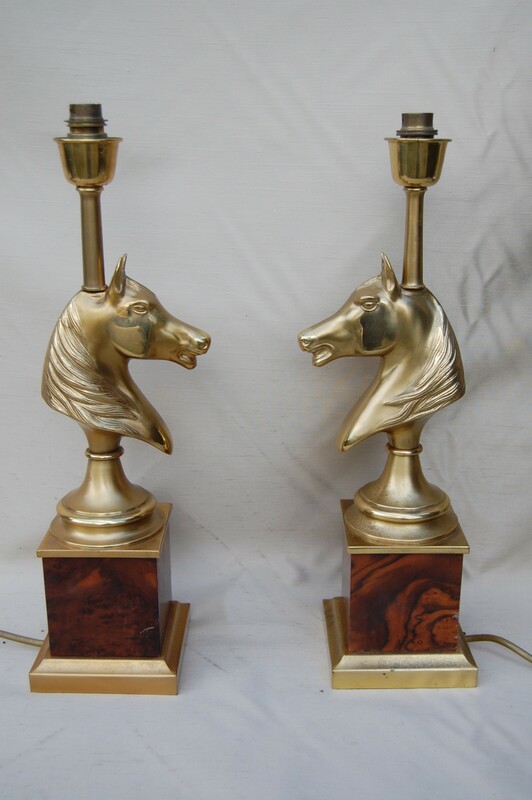 The date of manufacture has been declared as 1960. 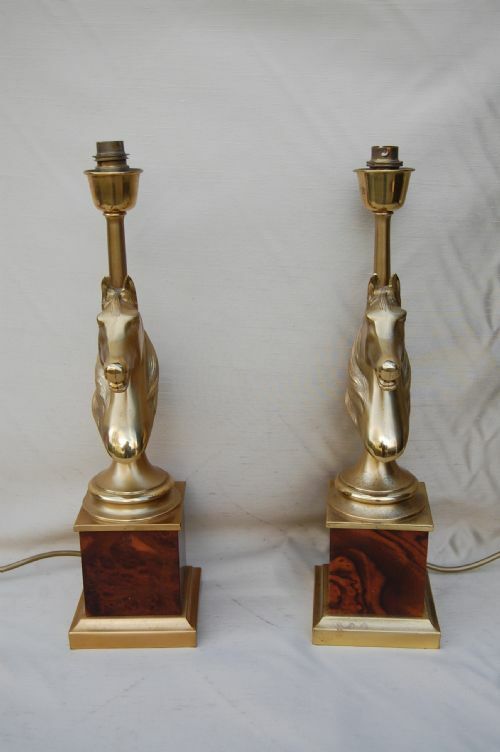 The Pair Of Horse Head Table Lamps has been added to your saved items.